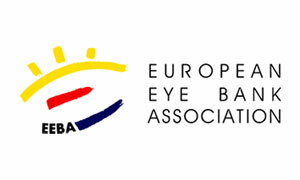 XXXI Annual Meeting of European Eye Bank Association (EEBA) takes place on 17-19 january in Rotterdam, The Netherlands. Also Veneto Eye Bank Foundation partecipate to this important occasion for the eye banking community to learn about the newest developments in the field, come together and plan for the future. "The meeting will give an innovative and comprehensive overview of the latest developments in eye banking and corneal transplantation. The plenary scientific presentations, round-table debates and lectures by some of the world's top experts will cover a range of topics, such as the future of eye banking, custom-made services in modern eye banking, sustainable eye banking and ATMPs" the Scientific Committee announced, "the programme will also cover aspects of (new) corneal storage methods, microbiological safety and the effect of transportation on lamellar grafts. The meeting provides a fresh view on international eye banking topics, ranging from the different challenges for eye banks across the globe as well as legal and ethical aspects within the European Union".